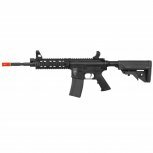 Built for durability Elite Force has taken the liberty of reinforcing several key internal parts inside the gearbox of the Elite Force M4 CFR Next Gen Airsoft Rifle to perform better under stress. The next gen line of Elite Force M4 CQB rifles feature an improved tappet plate for higher durability and enhanced sector gear for more reliable feeding from the magazine. 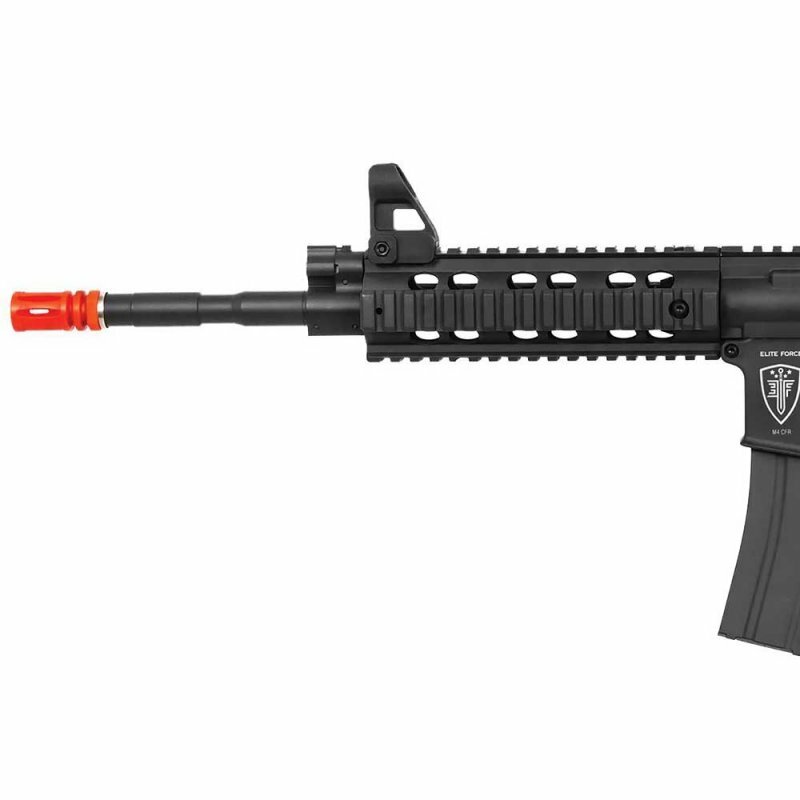 Elite Force has moved away from the traditional M4-style hop-up, instead using a rotary-style design to add more stability and ease of adjustment. The M110 AEG spring offers just enough power to keep within CQB-friendly velocity limits without sacrificing any available range. 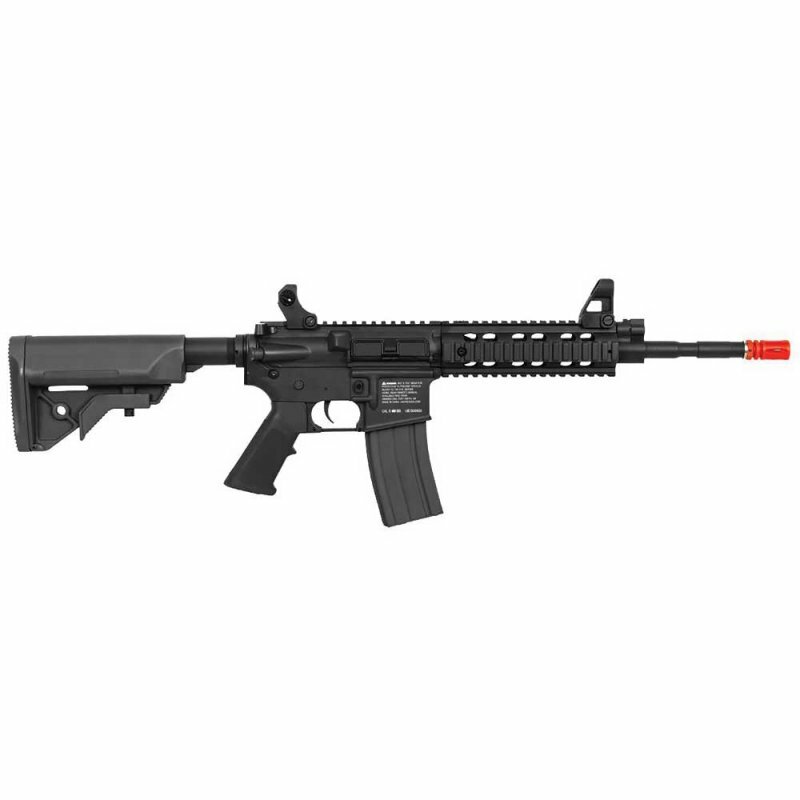 Externally, the Elite Force M4 CFR has been optimized for close quarter engagements with a shorter, 10″ outer barrel to give the shooter an ideal balance between range, accuracy and maneuverability in small spaces or around tight corners. One key element to remaining competitive in a CQB environment is the ability to use various weapon-mounted accessories like a flashlight or optical sight. 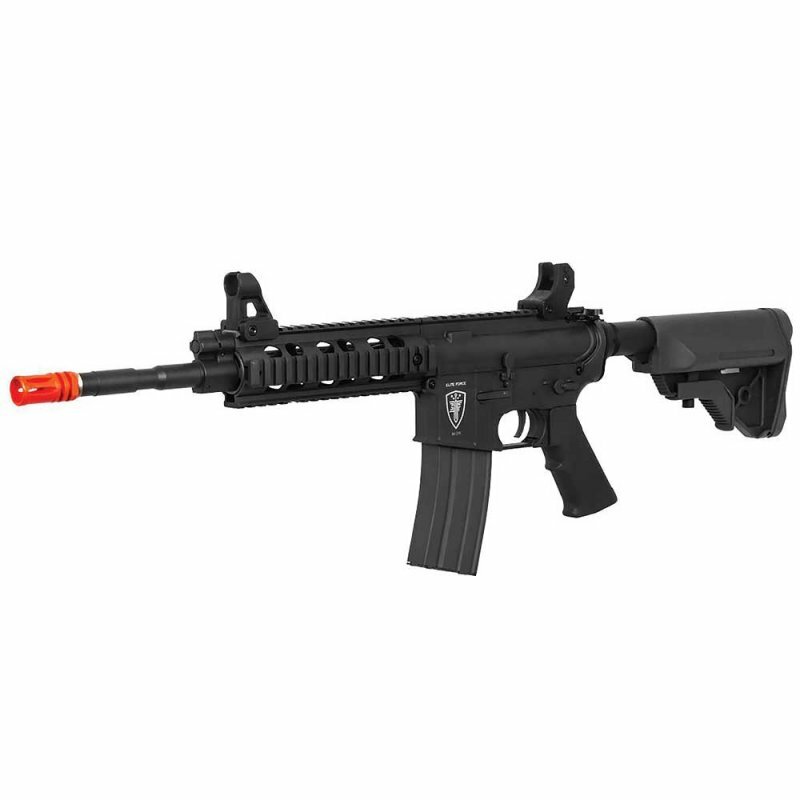 Therefore the Elite Force M4 CFR Next Gen Airsoft Rifle includes a quad-rail that sits flush with the upper receiver to offer the shooter plenty of real estate along the top for an optic and perhaps a PEQ-15 laser device. 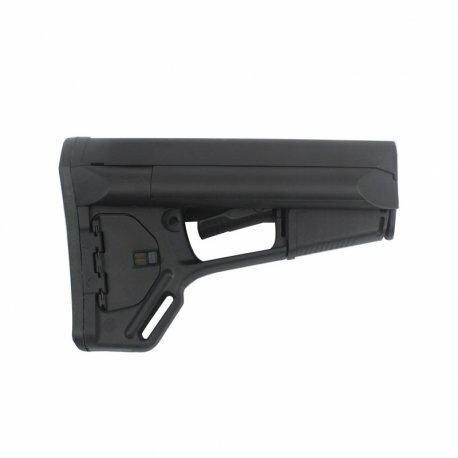 There is also plenty of space the front end for a flashlight and vertical fore-grip, if desired. 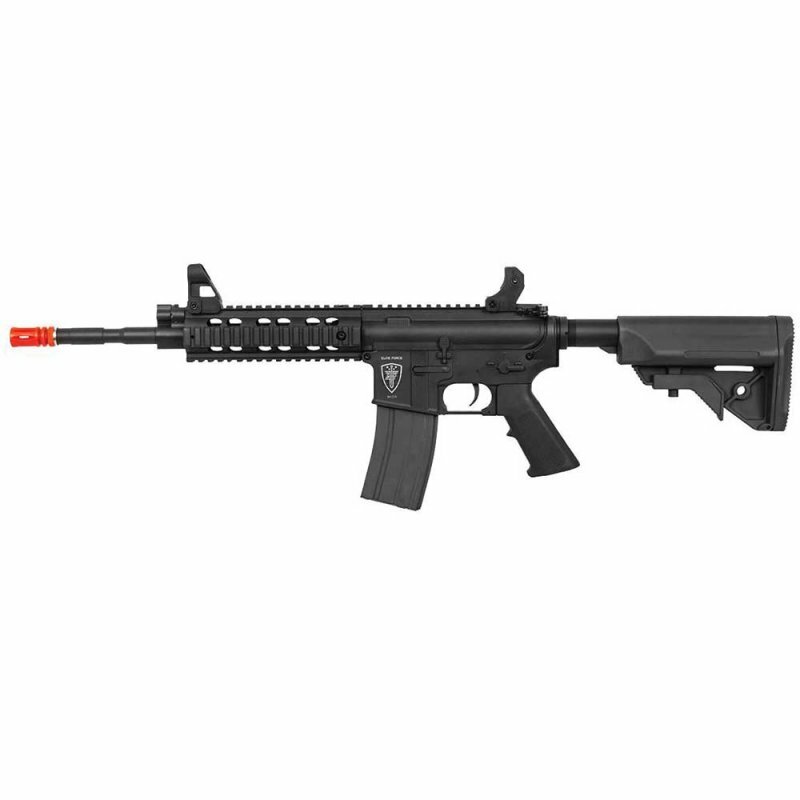 The Elite Force M4 CFR Next Gen Airsoft Rifle offers both semi or full auto firing modes, a reinforced nylon fiber body, flip-up front sight, and has a newly redesigned crane stock with easy access to the battery storage area.